Well, I'm a day late, and as you can plainly see this is not an apple recipe. My days have been a bit busy this week, so we're going in a different direction. But please don't be disappointed! In fact, this recipe gets more raves than the apple one I had in mind, so you're actually getting the better end of the stick! 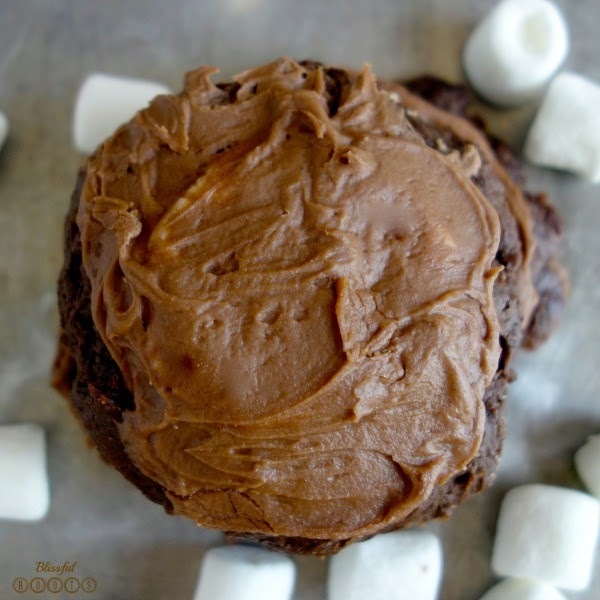 Back in July, I shared my favorite homemade chocolate frosting, and I mentioned it came from this brownie cookie recipe that I saw on Studio 5 a LONG time ago. So, if you saw the frosting post, then you already have a start on this recipe. You just need to make the batter (click here for the recipe), cook, add a half-cut marshmallow to the top, cook a few minutes more, then cool and frost. BTW, the frosting on the recipe link is different from the one I use (not sure why, that's where I got it in the first place). Click here for the frosting recipe that I use. These are absolutely AMAZING! 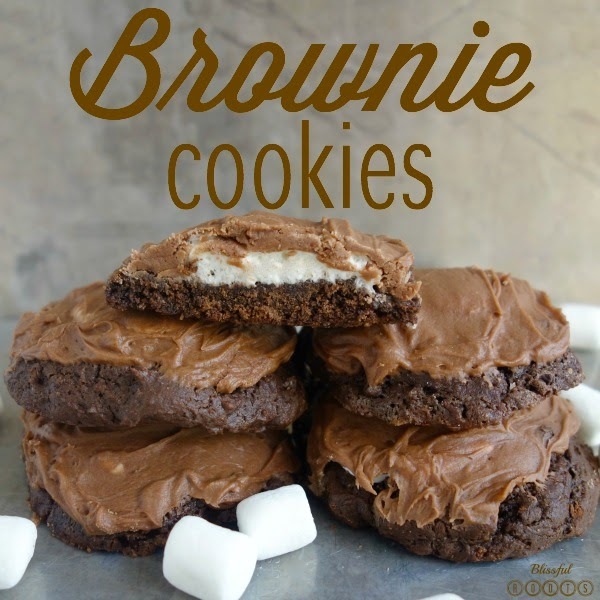 Just like a brownie, but in cookie form. They do take a bit longer than a pan of brownies, but it's nice to have individual cookies when serving, I think. 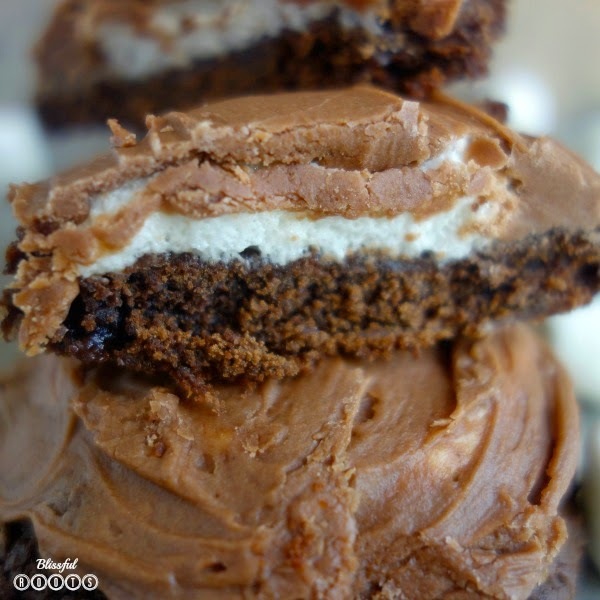 Wow, I love chocolate and marshmallows and frosting and gooey-ness so I should probably make these ASAP! Yes, you should Julie! They won’t disappoint, I promise! Thanks so much for visiting and for commenting! Enjoy your day! Oh, you're speaking my love language: brownies and creamy chocolate frosting in one bite! Yes, please! Thanks for sharing both of these wonderful recipes!